BOOM. 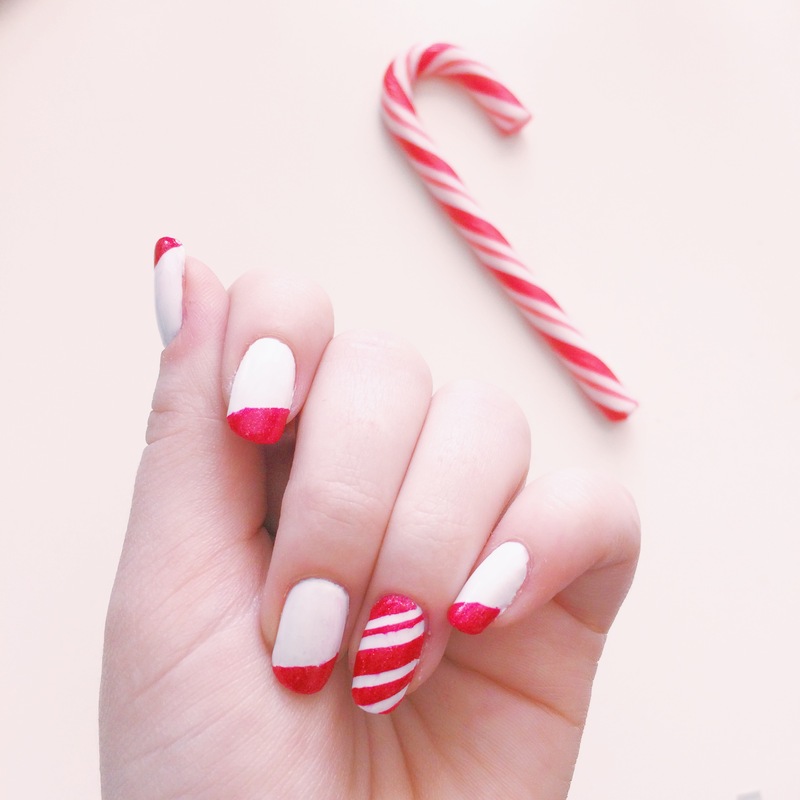 One of my projects this December was to create a series of candy cane inspired nails, and I’m pretty proud of the outcome! Let me just tell you a few things I learned through this month-long experience. First, you can’t buy candy canes one by one, so if you’re in need of a peppermint stick (or 5), come on over! Second, it is nearly impossible to pose your hand in the exact right light and location 4 separate times over the course of a month! We’re talking 50-60 takes each time. Getting that down, in and of itself, is one of my proudest accomplishments thus far in my blogging career! I made it work… eventually! 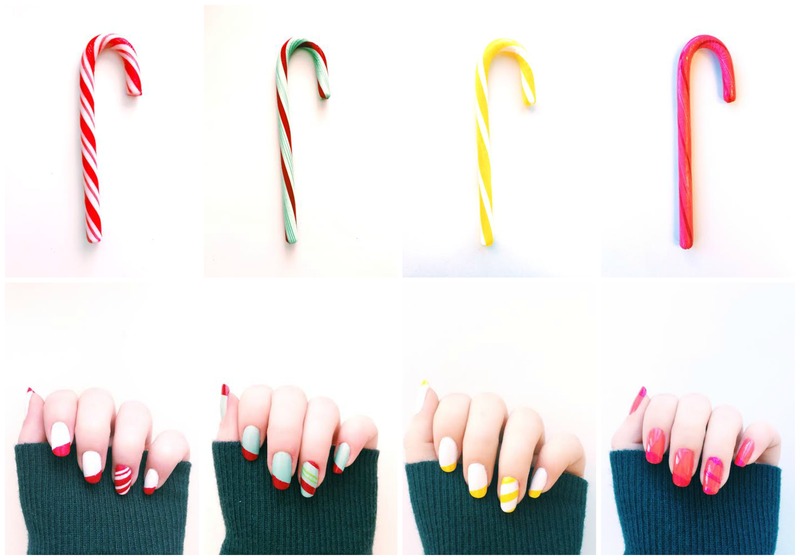 Despite the abundance of candy canes and photography struggles, I really enjoyed creating these designs. It was fun finding a style that was representative of the classic spiral look, but had a modern twist! I paired an angled french tip with a striped accent nail for a cohesive and festive mani. 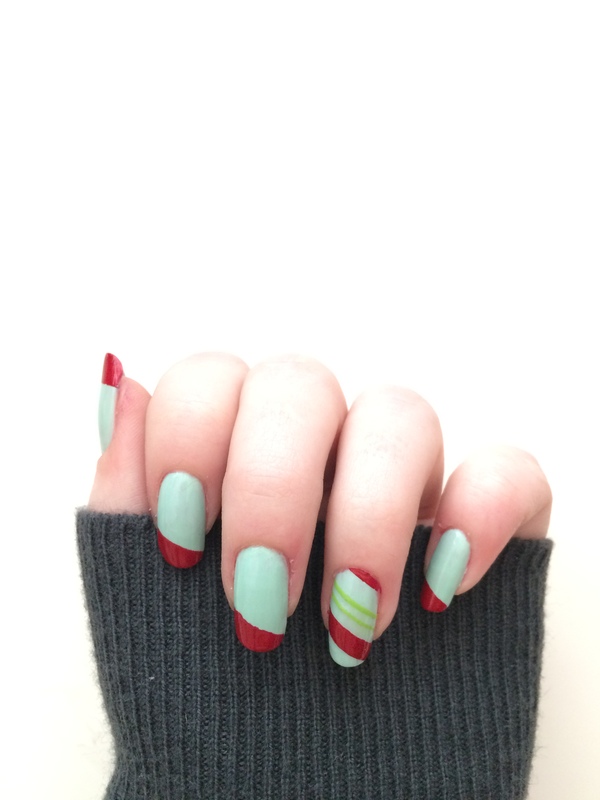 This mint manicure was a very exciting one for me to create because the colors really represent a modern Christmas. Soft mint and touches of bright green next to a rich scarlet are a new take on classic red and green. Any time I can simplify and modernize something, I’m happy! I definitely used way too many polishes to name over the course of December (the usual favorites were included like Essie, Julep, Ciate)! But like always, loved them all! Despite yellow being one of my least favorite colors, I think this guy was one of my favorites in the end! Clean, crisp, bright and happy! Not particularly “traditional Christmas,” but still fun! 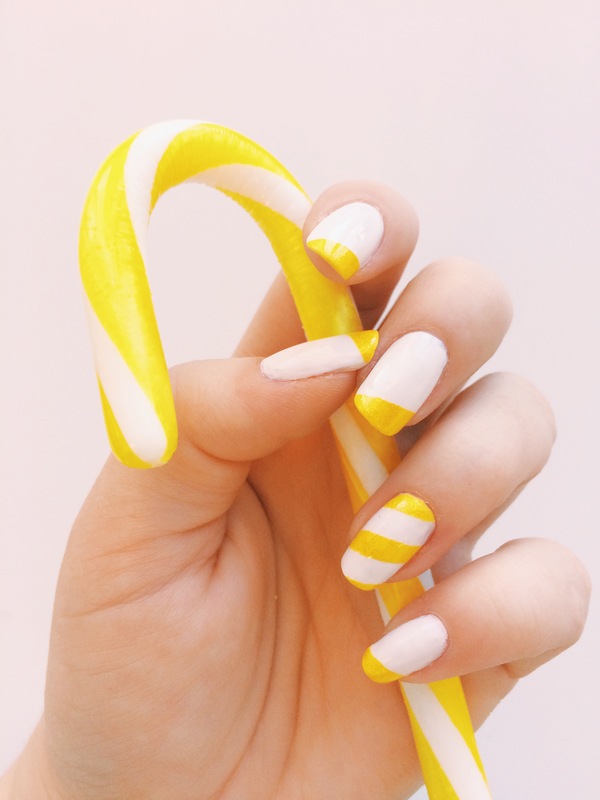 What is your favorite holiday-inspired nail design? Happy Reading! Haha what a great challenge! I think the photos look fab so you should be proud. And ofcourse the nail art looks good too. Well done you!